Leisure travellers can take advantage of free car parking in order to experience the sights and sounds of Sydney by bike when enjoying a weekend stay at Fraser Suites Sydney. Centrally located on Kent Street, near the historic Town Hall, Fraser Suites Sydney is within close riding distance of some of the city’s most iconic sites. Travellers can take to two wheels for a short ride to the Botanic Gardens or the Sydney Opera House to witness some of the most stunning scenery Sydney has to offer. Studio Deluxe Suites start from $235 per night and include complimentary Wi-Fi, free parking and bikes. For families, One Bedroom Deluxe Suites from $285 per night and Two Bedroom Deluxe Suites from $475 per night are also available. For reservations, please contact Fraser Suites Sydney at 1800 800 488. 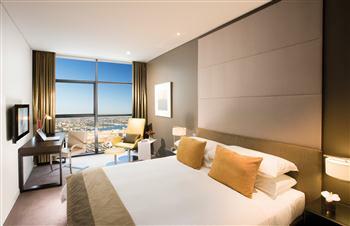 For more information about Fraser Suites Sydney, visit sydney.frasershospitality.com.